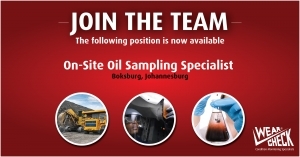 The successful applicant will be responsible for the co-ordination of the entire oil sampling program on a WearCheck Customer Site. Availability: The successful candidate must be available to start as soon as possible. consider your application as being unsuccessful. Ensure samples are ready for collection, ensuring speedy turnaround time. Desirable qualities: Good communication skills, team player, responsible, accurate, good time management skills. Applications close on 8th March 2019. If you have not received a response by 22nd March 2019, please consider your application as being unsuccessful. Four more of WearCheck’s RS (reliability solutions) technicians recently passed their CAT certification through the Mobius Institute, which is a worldwide provider of education in reliability improvement, condition monitoring and precision maintenance. This follows the ten WearCheck technicians who gained their CAT certification earlier this year. WearCheck is the certified Mobius training centre for Africa, and courses are run for WearCheck customers anywhere, any date, on demand. 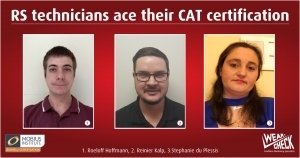 Technicians who gained their CAT 111 certification are Alastair Mac Gillicudy and Roeloff Hoffmann, while those who earned their CAT 11 certification are Reinier Kalp and Stephanie du Plessis. CAT 11 students underwent a compulsory 18-month practical experience, followed by four days of lectures and a full day examination. CAT 111 students had to complete a 36-month practical experience, lectures for four days and examinations. Vibration database setup and fault analysis are the predominant focus of both CAT 11 and CAT 111. The training sessions are practical and hands-on, enabling the technicians to hone their skills and progress to the next level. Roeloff Hoffmann, reliability solutions technician from WearCheck in Limpopo, earned his CAT 111 certification. Reinier Kalp from Springs and Stephanie du Plessis from KZN WearCheck successfully earned their CAT 11 certification. The WearCheck team of condition monitoring experts who attended Mining Indaba this month reports that they were delighted to chat with many customers at the WearCheck stand, as well as answering technical questions from people who are new to the concept of condition monitoring. There was strong interest in WearCheck’s mobile laboratories, which are placed on-site in remote areas to make condition monitoring services more accessible in areas with limited infrastructure. Another popular enquiry was regarding WearCheck’s site-specific fuel and lubrication improvement programmes that boost the bottom line for our customers by extending component life, reducing maintenance costs and increasing equipment availability. WearCheck shared a stand with sister company Set Point Laboratories. 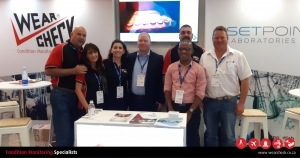 The technical team members who attended Mining Indaba were (from left) Phillip Croucamp, Michelle van Dyk, Steven Lumley, Jon Hillary, Quentin Von Klesit, Moses Lelaka and Gerrit Fouché. 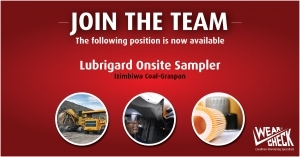 Minimum Education – Grade 12, Tertiary Education (Diesel Mechanic/Fitter). Valid Drivers Licence. Must be experienced and competent in working on Mining Machinery such as Haul Trucks, ADT’s, Excavators, Loaders and Dozers. Preferably 2 years experience. Must be familiar with Filtration Systems on EME Equipment. Must be experienced and competent in Servicing and maintenance of this type of machines. Intermediate Computer skills. 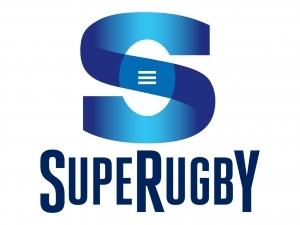 Supervisory experience. Desirable qualities: Excellent interpersonal and communication skills, team player, responsible, accurate, attention to detail, computer literate, decision maker, good time management skills. Applications close on 28th February 2019. If you have not received a response by 15th March 2019, please consider your application as being unsuccessful. Our annual customer survey was recently conducted, and we sincerely thank the people who took the time to give us feedback. 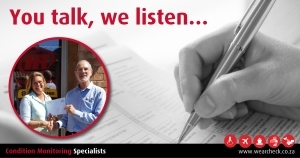 Your answers are critical to how we re-shape our business services going forwards. Lucky winner! Wendy Bester of Universal Equipment had her name drawn out of the hat to win the lucky draw prize for customers who completed WearCheck’s customer survey 2018. Here, Wendy accepts her cash prize in PE from Leon Marshall, WearCheck’s Eastern Cape representative.